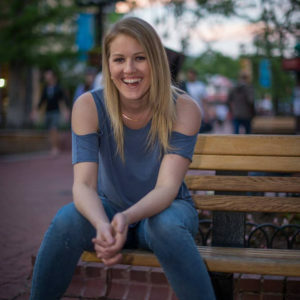 Straight out of college from the University of North Texas, Alicia Miller moved to Denver to begin her career raising capital for commercial real estate investments. Working in multiple positions in the finance industry over the course of several years, Alicia was introduced to Richard Lackey and the World Food Bank and eventually decided to dedicate her time to helping the company grow. A self-described “doer” by nature, Alicia said she was also intrigued by Richard’s enthusiasm and passion for the company’s growth. In her role as Director of Business Development, Alicia has come to appreciate the impact that investments in the World Food Bank can have, not just on the lives of investors, but on the lives of people living in Sub-Saharan Africa. And she also loves the fact that the company can demonstrate this impact to investors, whereas many organizations cannot. Alicia says she feels the World Food Bank has an advantage over other investment opportunities due to the fact that the company takes a systematic approach to solving international challenges, rather than just focusing on one sector or solution. Throughout her life, Alicia has had opportunities to travel the world and see many of these challenges, such as extreme poverty, firsthand. Through these experiences she came to understand the privileges she was afforded in life simply by being born in the U.S. and the responsibility that came with that. To learn more about Alicia, visit our Team Page.